At the time of publication, Chase Hinckley is embarking on a climb of K2, the second highest mountain in the world, as an act of solidarity with the COPD community this summer. Chase, 34, lives in Colorado and has a penchant for adventure. In 2015, he left behind the security of his engineering job to travel the world and climb it’s biggest mountains. 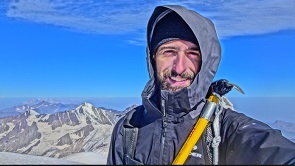 To date, Chase has climbed mountains such as Denali, Rainier, and Kilimanjaro. K2 – known as the “savage mountain” – is located on the China-Pakistan border and has an elevation of 28,251 feet. It is a notoriously difficult climb with extreme altitudes, lack of oxygen, and extreme storms. To date, only 306 people have stood on K2’s summit, compared to the more than 5,600 people who have reached the top of Mt. Everest. Chase recognizes that climbing K2 will be a challenge, and he equates this struggle with the daily life of a COPD patient. Chase is talking about COPD because for him, it’s personal. As a mountaineer, Chase understands how it feels to struggle for air, which gives him a unique perspective as someone who is not a COPD patient. 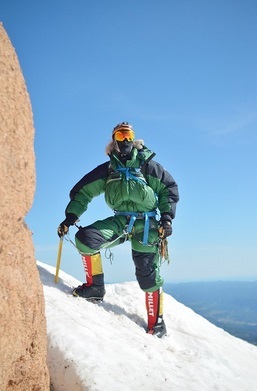 Chase decided to make his climb an opportunity to fundraise for COPD. He even created a webpage where you can follow his progress: http://copdf.co/K2Climb. Chase, who has been in a mountain club and is involved in the tight knit community of climbers, chose K2 because he considers it a uniquely American mountain. And how does Chase stay motivated with such as large challenge ahead? Log on to Chase’s page here: http://copdf.co/K2Climb. You can make a donation in his honor and leave him words of encouragement.